For over 40 years, MTS has been a trusted partner for innovative ground vehicle testing solutions. Leading vehicle manufacturers and suppliers throughout the world depend on MTS to reduce their product development time, decrease warranty costs, and accurately validate and predict product performance. 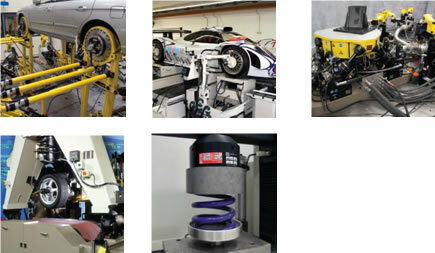 Whether you perform full-vehicle, sub-assembly, component or material testing, MTS offers high-performance testing and analysis tools and responsive, local support to meet your specific business needs efficiently and cost-effectively. Contact us today to discuss your testing challenges with us and learn how MTS’ proven technology and industry-leading expertise can improve your vehicle testing programs.